TSOP have always been firm supporters of Deichmann shoes and after blogging about the studded black boots and silver tipped pointy heels they fast became my wardrobe essentials. 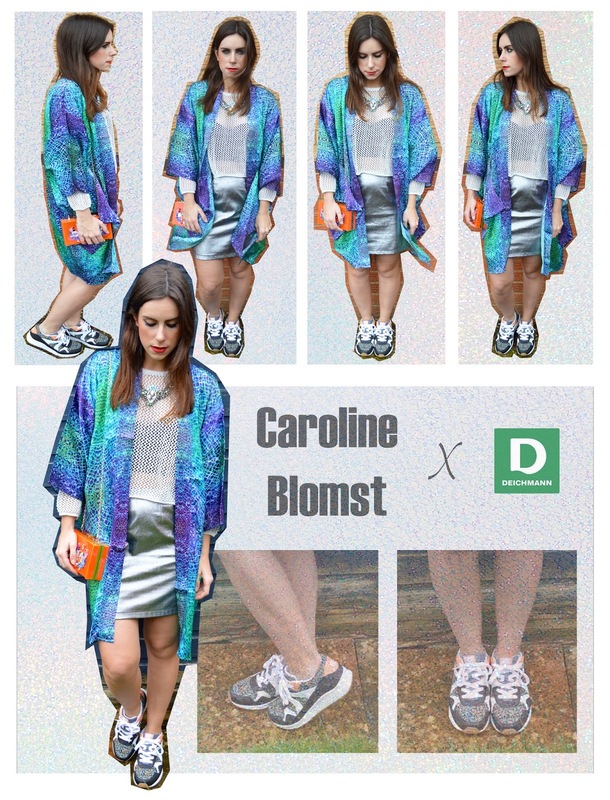 When we heard about the new SS14 capsule collection by super blogger Caroline Blomst and the chance to win the Fashion Blogger 2014 Prize we jumped at the chance to be involved, as you know we love a good style challenge and we are very excited to share this with you all! They are now very proud to announce there new SS14 capsule collection by hugely successful fashion blogger Caroline Blomst which includes a range of heels, flats and these super hot trainers! 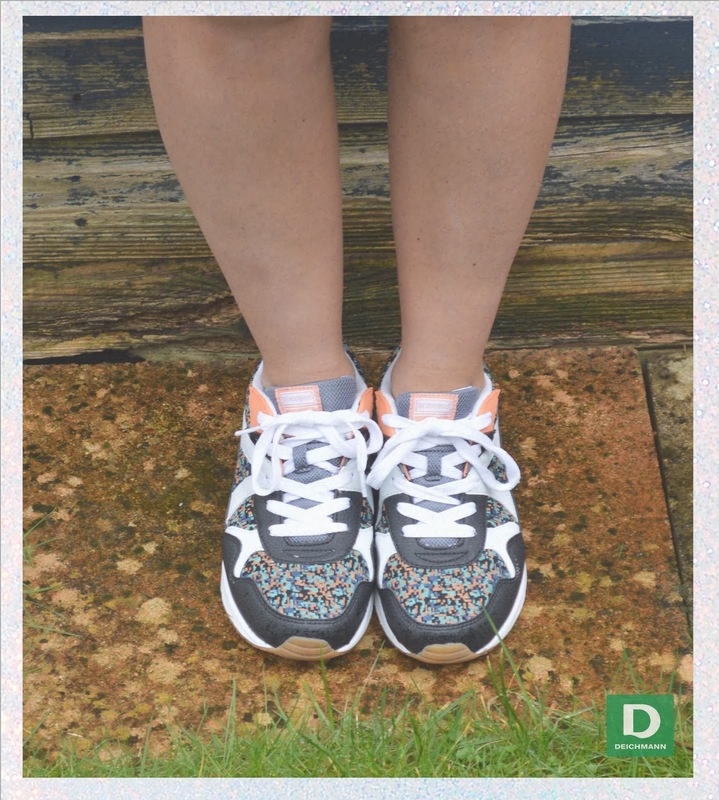 The collection launches today so be quick to get yours at Deichmann online! Caroline has done an amazing job designing the collection and I think it's so refreshing to know that bloggers are doing amazing things in the industry and we can support them along the way. Caroline is Swedish and has previously worked on collaborations with Zara, Vogue and style.com. She is a model, blogger, photographer, stylist and designer and a force to be reckoned with, founding highly successful blogs Caroline's Mode & Stockholm Streetstyle and now taking on the biggest shoe retailer in Europe for a fierce SS14 collection! What I really love about the collection is there a style for everyone whether you want an everyday flat for summer, sporty trainer, gorgeous heels for a night out or kitten heel for a dinner date. You name it, theres a style for it.....It's just a shame we can't have the whole collection in our wardrobes! Caroline has taken the most popular styles of shoes and made them amazing yet affordable. I know they are going to be a huge hit with bloggers and Deichmann shoppers alike. With shoes, for me it's all in the details and this collection has it all, gold studs, lace detail, aztec & digital prints and buckle detailing. Don't miss out, shop the collection now! There was no question in which style to pick, I fell in love with the trainers at first sight and even more when I put them on my feet. I decided to pick out the colours and digital print in the trainer and really play it up so matched my printed kimono with them. I went for a sport luxe kind of feel focusing on the colour and accessories to really make the trainers pop. The jewelled necklace and clutch with the metallic skirt kept the casual yet chic element to the outfit and shows you can wear your trainers in so many different ways. 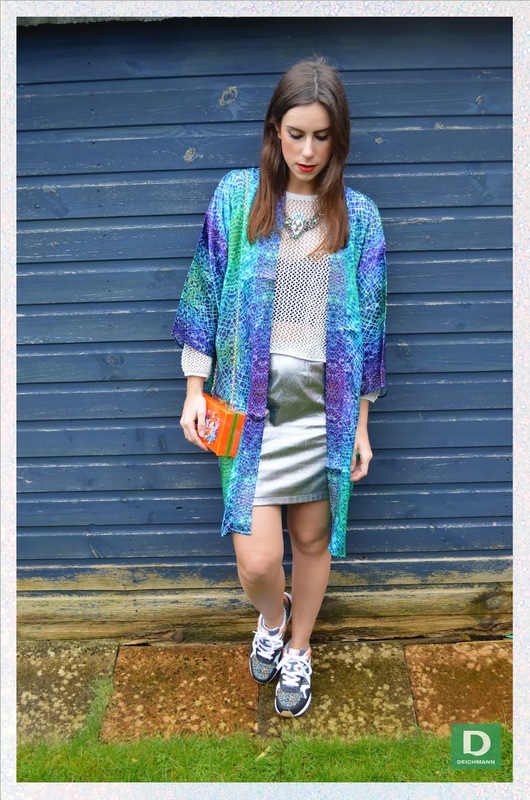 I love colour and print so this outfit made me feel super confident and ready for SS14. I for one will certainly be snapping up a pair of these trainers today and supporting Caroline in her amazing success with this collection. Will you? I love their shoes. They are stylish, comfortable and very affordable. I remember looking through all the shops once for boots and could'nt find it or i just did not seem to like any of the ones i saw. Then i went to Deichmann in Westfield and instantly fell in love. I wore those shoes everyday to work (shameless i know but lord them so much). I have few pairs from them and they last long as ell. I am loving the lace boots from the collection. I have never tried trainers from there, maybe next time i visit, probably should give it a try.